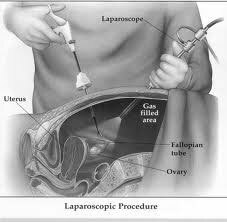 Laparoscopy procedure is generally performed under general anesthesia by a gynecologist or surgeon. Here, the abdomen is inflated with gas such as nitrous oxide or carbon dioxide. The main aim of using gas is to push the abdominal wall away from the organs so that the surgeon can get a better view. A laparoscope is then inserted through a small incision to examine the internal organs. Sometimes, additional incisions may be done to insert other instruments for better viewing. This procedure typically takes about 30 to 45 minutes. In case of endometriosis or if scar tissue has to be removed, the surgeon will perform various techniques such as cutting and removing tissue (excision) or destroying it using a laser beam or electric current (electrocautery). The surgeon closes the abdominal incisions with a few stitches once the surgery is over. Laparoscopy is usually carried out on an outpatient basis although in a few cases one might need to stay in the hospital for one day. Severe endometriosis and scar tissue that is believed to interfere with organs such as the bladder, bowel etc. Infertility: The doctor will use laparoscopy to look for and remove signs of endometriosis which are causing infertility. In cases of moderate to severe endometriosis, surgery will most likely improve your chances of attaining pregnancy. 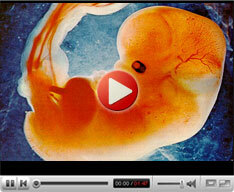 In severe cases though, a fertility surgeon will recommend skipping in vitro fertilization instead of surgical removal. The success of the laparoscopy depends on the severity of the endometriosis and your age. There is a decline in egg quality and the risk of miscarriage increases in case you are over 35 years of age in which case, your doctor will recommend alternate infertility treatments such as fertility drugs, insemination and in vitro fertilization. Pain relief: Like in hormone therapy, laparoscopy relieves endometriosis pain for most women although it does not guarantee very long-lasting results. Reports suggest that using hormone therapy post surgery can help in achieving long lasting results by preventing the growth of new endometriosis. Endometrioma: Techniques of surgically treating an endometrioma include cutting it, draining it or removing it completely (cystectomy). The advantages of laparoscopic surgery over open abdominal surgery include reduced hemorrhaging, less pain, scarring and tissue trauma and much smaller incisions. As a result this procedure is time saving and is carried out on an outpatient basis that requires a shorter hospital stay and a shorter recovery time. Experience, expertise and skill of the surgeon are vital when surgery is done to treat endometriosis that is causing infertility. Additional training is required when it comes to using the laparoscope, lasers, and some of the complex surgical procedures.